"They have been so great with my wife and her dogs. They do go above and beyond and they take the time to make sure you understand the treatment plan and options that are available. You need a good vet, check them out." ""Came in with a few questions and the receptionist Melanie was very informative and really friendly!"" "Thank you, Laura for recommending Montrose Vet Clinic! Riley had his dental surgery here and I'm so impressed with the very caring staff that we've made Montrose our vet clinic as well!! A huge plus for us, is that they are so affordable, unlike many other clinics. It's easier on the $ budget to make vet care a regular part of our pet's healthcare. Riley & I LOVE Montrose!! Oh, I also have to mention how appreciative I was for the many follow-up calls from the staff to find out how Riley was doing. 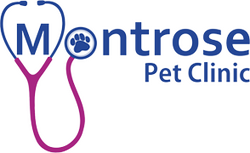 I have been highly recommending Montrose to other pet owners!" "I have a very tiny Yorkie that needed puppy teeth She retained pulled. After having a quote from the vet I was taking her to I thought the cost was high. I booked an appt at Montrose to get another quote and it was half of what the other vet wanted. She had the surgery the next day. The doctors and staff are very friendly and you can tell they love the pets. Montrose is now our vet clinic." "I took our Portia Page who is going to be 13 years of age, she is a Shitzu/Poodle and Dr Matta looked after her and my husband and I could not have been more pleased with her care and cost which was one half of what the other Vet would have charged for a lump removed from her mouth, plus teeth cleaning and two cracked teeth removed. She came through with flying colors because of her excellent care and love that she received at Montrose. Montrose is our Vet now for Portia. We also have to purchase special Food for her which is only bought at Montrose now, can not say enough about their Staff and Service - 5 Star for Certain!!!!" "My 4 ferrets were in best care at Montrose pet clinic. Dr Koshy always took time for us. No rush like in other pet clinics. He did an excellent job. I can only recommend this clinic. "They are fantastic. They took us in without an appointment for an emergency and were very knowledgeable. We ended up having to go to the 24/7 emergency and they faxed all the information there and were very helpful." "I found they were great with all our pets.... and when we had to out our cat down, they were extremely helpful and sympathetic. ..we couldn't have asked for better people to help us when we needed comfort and extra care. I highly recommend them!! And with price, they were very reasonable. Let's face it, all vets are pricey, no matter where u go"
"Definitely recommend - we have a senior dog that had surgery and they were fantastic." **We left out the client's name for privacy.